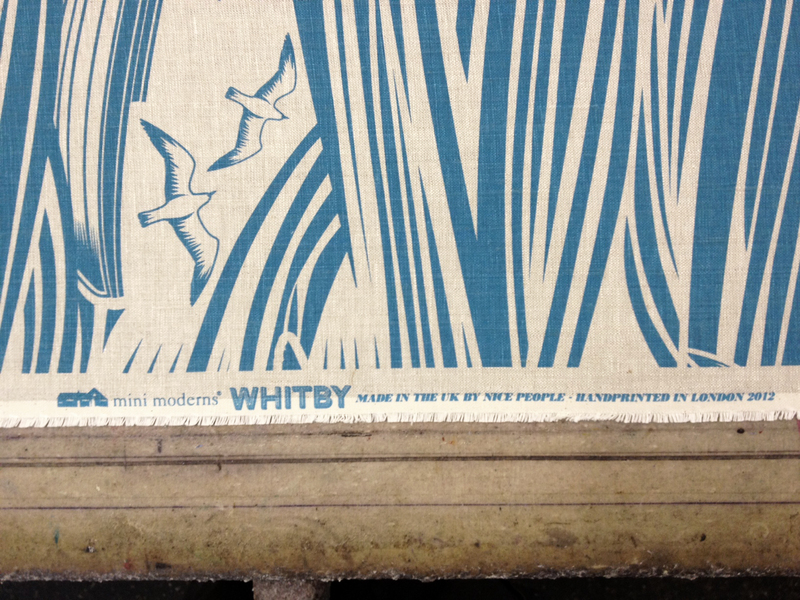 We are really excited to finally be producing our Whitby design as fabric to be sold by the metre exclusively at http://www.minimoderns.com. the fabric is printed on beautiful quality Linen Union oatmeal fabric – which gives the pattern a vintage look and has a synergy with the existing best selling wallpaper. The fabric will be available in 3 colourways Stone, washed denim (pictured) and Lido.